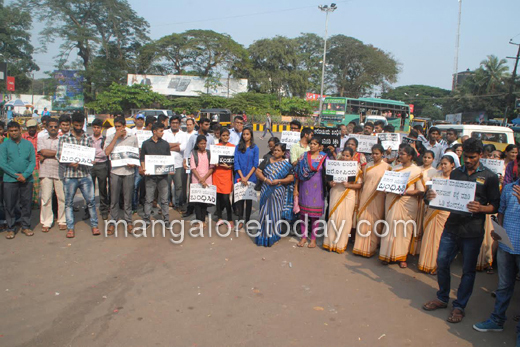 Mangaluru, Oct 24, 2016: Indian Catholic Youth Movement (ICYM), DYFI and NSUI staged a protest outside DC office on Monday October 24, condemning the attack on the Principal of Milagres College by a student of the same institution on October 20. 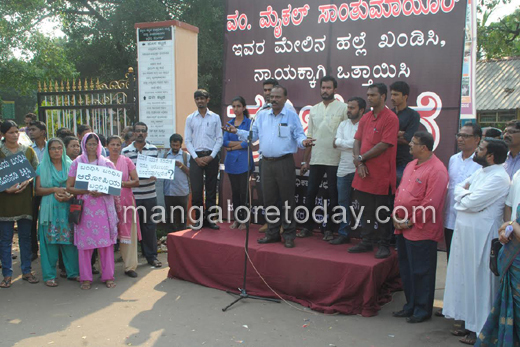 Addressing the protestors, PTA Director Ronald said that "Principal Fr Michael Santhamayor was a sympathetic person who was concerned about the accused student Mohammed Shahnawaz who was known for his repeated mistakes and had written over 15 apology letters." 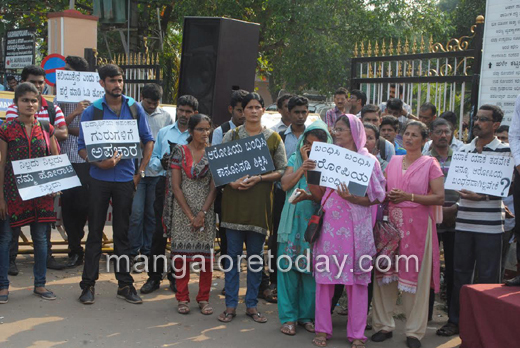 Ronald strongly condemned the attack on the Principal and demanded the arrest of the accused at the earliest. 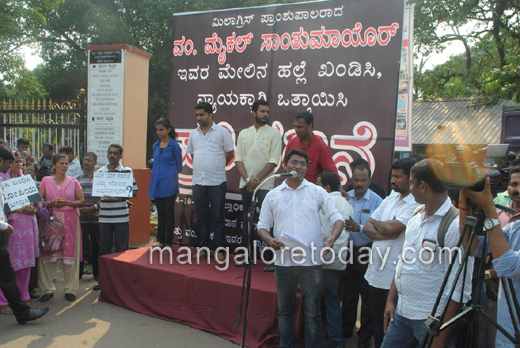 BJP Minority Morcha Secretary Joylous said that the attack on Fr Micheal Santhumayor by a student was in retaliation to the instructions given to him to attend classes. This was a serious offence which had tarnished the image and sanctity of educational institutions in coastal region, he added. It has been three days since the incident took place; but so far police have not been able to nab the culprits which clearly indicates that some people are defending the culprit," he alleged and accused the police of slowing down the investigation due to political pressure. DYFI Secretary Sunil Kumar Bajal described the attack on the Principal as a shameful act. "We ourselves will trap the accused if the police failed to arrest him at the earliest," he warned.